There are a growing number of great hamburger places in Tokyo. However, only one vegan burger place keeps the entire burger-loving city salivating. Ripple is the kind of burger joint that any self-respecting burger lover would take to immediately. 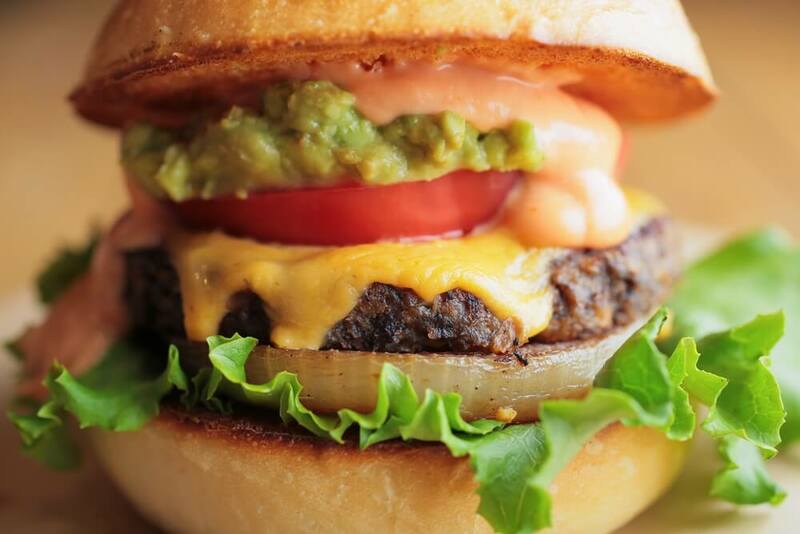 The ever popular Ripple cheeseburger has a thick patty oozing with cheese that is topped with a secret sauce, a generous slice of tomato, and guacamole — all of which sits between fluffy burger buns. Plus, there is a side of cheese fries that is just about right. And to top it all off? Ripple is vegan. More specifically, the restaurant specializes in vegan junk food – a proud fact for its owners. The latest of the seven vegan food and beverage outlets of the Ain Soph group, Ripple has done such an outstanding job of creating an undiluted vegan burger experience that it would make any non-vegan happy. Organic or macrobiotic it is not: Ripple is simply about creating a good American style burger, in good-sized portions, that is vegan — nothing more, nothing less. In a city that isn’t known for its friendliness to vegans or vegetarians, Ripple is designed specifically to provide a vegan burger option in Tokyo that is casual and hearty. Not that fans — which range from students to salarymen — are always aware that the food is vegan. In fact, the team at Ripple suggests that some returning customers have no idea that the vegan burgers they enjoy contain no meat at all.